This single-family home is located at 174 E Sunset Dr, Onalaska, TX. 174 E Sunset Dr is in Onalaska, TX and in ZIP code 77360. This property has 3 bedrooms, 2 bathrooms and approximately 1,176 sqft of floor space. This property has a lot size of 9,583 sqft and was built in 2008. 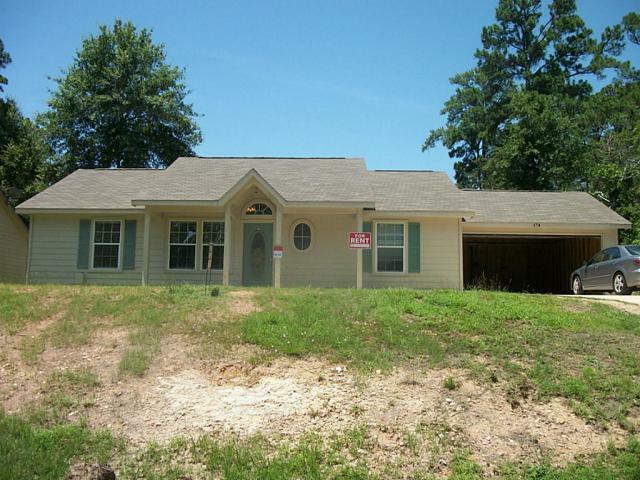 174 E Sunset Dr, Onalaska, TX 77360 is a 3 bedroom, 2 bathroom, 1,176 sqft single-family home built in 2008. This property is not currently available for sale. The current Trulia Estimate for 174 E Sunset Dr is $154,265.